Storybook Weaver was one of the first computer programs that promoted writing as a fun endeavor which could be performed on a computer (which was high-tech at this time). The early 1990s featured a slew of new software and computer programs that were written for specific audiences. While Storybook Weaver was not for every child, many schools purchased the software in order to further engrain the importance of writing onto their students. I think I have progressed a great deal in my writing abilities from my days of using Storybook Weaver years ago, though I attribute many of my childhood stories relating to witches and “Baba Yaga” back to this original computer program. This program allowed children to develop stories on their computer with illustrations at the same time, featuring hundreds of backgrounds, objects, and characters. The easy accessibility of placing the objects on the page, literally creating a children’s book, brought much of the appeal to kids, as most writing assignments did not allow you to illustrate books at the same time. For kids like me, who were not gifted in the way of artistic renderings, Storybook Weaver was perfect in allowing me to both write and illustrate a book at the same time. While there has yet to be a Storybook Weaver for adults, most adults do not need the type of encouragement as kids do. If you want to be a writer now, you do not need any type of fancy technology, simply a laptop with Microsoft Word (or any similar program). Storybook Weaver has now become a bit of nostalgia for those of us who grew up with this type of program. With the recent Deluxe Version released in 2004, the user interface has been updated, and many more objects and categories have been added, including the Statue of Liberty and the White House. Through this revival of sorts that the program has undergone, it can now be attractive to a newer audience of children who desire more modern settings than the game originally contained. While there are still the original ancient and fantasy backgrounds and characters, more modern aspects have been included, such as shopping malls and entire cities. The new version additionally contains bilingual attributes, allowing users to write in either English or Spanish and directly translate words. Storybook Weaver stands to represent a simple time in my early life as a writer, through which I could write about fairies, goblins, even hobbits, and manipulate the illustrations to represent anything I wanted. Many writers now focus on the more serious aspects of life, especially considering non-fiction has been found to sell more frequently now, but many of us should return to this carefree time in life where we believed in the tooth fairy, and strove to experience magical moments in life. Storybook Weaver simply helped us imagine a world in which we wanted to live, even aided us in incorporating ourselves into this mythical world we created. Since I have a day job and a family, I often find myself wondering if I’m doing enough as a writer. Am I working hard enough? Concentrating sufficiently? Making progress? Sometimes the best way to answer these questions is to take stock of the week’s tasks. This week I managed to write a little every day, which doesn’t happen often. I resumed working on a short story I hadn’t looked at in over a year. I started plotting the fourth mystery in a series I’m still marketing to publishers. The first two books are finished and the third is a work in progress which I’m putting aside for awhile. It’s not often I get to plot a novel. Truth is, I spend maybe 2% of my writing time plotting, 5% writing the first draft and the rest is all rewrites and editing. Between this week’s writing spurts I queried my local Chapters about doing a Meet 'N Greet this fall and queried a publisher who’s had my manuscript for fourteen months. Their guidelines state that they might keep a manuscript up to a year, so I waited patiently and queried after thirteen months. Five weeks later, I wrote yet another follow-up letter on Thursday. Is it any wonder so many writers give up finding a publisher? I also worked on a proposal for giving a presentation this fall, and prepared a letter for libraries also regarding presentations. I drafted up a review and wrote my weekly white-collar crime blog. When there wasn’t much energy left for thinking, I visited MySpace, GoodReads, Kindleboards, ebookgab, amazon discussion groups and tweeted. I’m a writer who believes in reading anything and everything as much as possible. I read an hour a day. Is it enough? I doubt it. Is any of the above enough for a week’s work? I have no idea. I remember attending the Surrey Writers’ Conference a few year books and listening to two successful fiction writers discuss earning six-figure incomes from their writing. Both of them put in more than ninety hours a week on their craft: twenty-five new pages each morning and editing at night. Could I do that? No. Would I want to do that? No. It’s all about balance, I think, and trying not to berate myself for not doing more. We read not so much to escape our lives but to add meaning, understanding, and depth to our days. If we find nothing but the same old stories told in the same old ways, we come away from the experience intellectually and emotionally unsatisfied. If the characters don't change in a fundamental way, if they don't struggle with an idea bigger than they are, we don't change either. This is especially true in today's traditional book market where an author is expected to churn out a clone every year. And aspiring authors are being steered into that same pattern. They're told to write in the genre they read because obviously they like the genre and because they are familiar with its conventions. But perhaps the opposite is true. Perhaps they should write in a genre they don't read so they don't keep perpetuating clichés. They might unwittingly rehash old stories in the unfamiliar genre, but there is greater chance of saying something new. My current work-in-progress is developing into a whimsically ironic allegorical apocalyptic novel, which is bizarre because I don't read that particular type of book; I don't even know if that is a type. What isn't bizarre, though, is all I am learning by writing in an unfamiliar genre. I may very well be writing a clichéd story -- I have no way of knowing -- but at least I am coming to it from my own unique viewpoint, not the distilled vision of all the authors who have gone before. And I am learning more about writing from this novel than any of my previous ones because I have to pull what comes next out of the creative ether, not from my memory of the stories I have previously read. Without a mystery at its core as in my previous works, I have to search for other ways of adding tension to the story such as the inner conflicts that beset my hero. How much freedom is he willing to give up for security? How much security is he willing to give up for freedom? How much of freedom and security are illusory? And I am becoming cognizant of theme, symbols, and other mythic elements as ways of unifying disparate parts of the story. So why should you read my book when it's completed? Because, if I do it right, it will be an entertaining way for you come to terms with one of the major dilemmas facing us today, and it will take you into the life of a character whose conflicts and choices will help make sense of your own life. At least, that's the way story is supposed to work. A portal opened in the universe and two celebrities of the 21st Century passed through. The news has been flooded with the sudden demise of Michael Jackson. His music, his eccentricities and his addictions all spread out across the globe for hungry viewers. Over shadowed by the glitz of the weird, Farrah Fawcett’s death portrayed with less intensity, but more dignity sends a valuable message. She fought the fight. What are you and I fighting? Ms. Fawcett remained hopeful to the end, could we be that brave? Like Hudson Catalina in “Belly of the Whale”…to give up hope is to give up life. Fight-the-fight, it is your life and mine. Embarking on an Internet marketing campaign doesn't have to be difficult, tricky, or complicated. Here are a few simple tips (twenty in fact) that you can easily implement to get tons of traffic to your site right now! 1) Write articles: believe it or not this is an incredible tool for driving traffic. Writing good, well-written, relevant articles can net you quite a bit of activity to your web site. Don't forget to add your URL in your byline. Articles should be 500 to 2,000 words in length. You can send articles to sites like: articlecity.com, goarticles.com, submityourarticles.com and ezinearticles.com. 2) Social bookmark *everything* - and I do mean everything, you can bookmark each page of your site and each blog entry you post. While this might seem tedious it's worth it. You'll see a strong increase in traffic if you social bookmark each page on your site and each of your blog entries. 4) Get yourself listed at: DMOZ.org - it's not easy to get listed there but worth the effort. 5) Review: if you can review hot new products or books within your market, head on over to Amazon.com and start positioning yourself as an expert. In order to do this effectively you'll want to create an Amazon profile and make sure and sign each review with a reference to your URL (your web site). You can also go to epionions.com and revoo.com to review products as well. 6) Offer a freebie on Craig's List: you'll be amazed at how much traffic you get from a single Craig's List ad. They key here is to send people to a page on your site and make sure they have to sign up for something (like your email newsletter) before they can grab their freebie. That way you're not just getting traffic, you're also building your list. 7) Create a "recommended by" list on your Del.icio.us page - you can do this by logging on and creating an account at del.icio.us and then tagging articles, blogs and other content you think is important to your readership. Then offer this page as a resource site. You can add a link to this page in your email signature line or on your web site. 8) And speaking of your email signature line - do you have one? If you don't, create one. Believe it or not people do follow these links. You'll be amazed how many folks read email signature lines. I have one and change it several times a year depending on what we're doing or promoting or what books I have coming out. 9) Lend a helping hand: you can be an answer person at Yahoo Answers, http://answers.yahoo.com/ - you don't have to spend hours on there but maybe a few minutes a week. Make sure and include a link back to your site by your answers. 12) Join relevant groups at Yahoo groups, http://groups.yahoo.com/. You'll find everything from groups on growing your small business, writing books, finding your passion, even underwater basket weaving. I dare you to find one that isn't right for what you're promoting. When you do find the right group, join and participate as you can! 13) Podcasting is another great way to drive traffic. Start a podcast by going to AudioAcrobat, http://bookmkr.audioacrobat.com/ - yes, this is our affiliate link. There are other programs you can use, but I love AudioAcrobat. You can record the podcast over the phone quickly and easily and then hit the "send" button on your computer once it's recorded and the system will syndicate it to 27 podcast directories including iTunes. It's a great way to let people know about you and your web site! 16) Start an email newsletter: while it may not seem like a newsletter that you email can drive traffic to your site you'd be surprised at the effectiveness of this type of promotion. If your newsletter (like your articles) is interesting and relevant to your audience you'll find that it has a huge pass-through factor. Meaning that it is passed from one email subscriber to another. Also, if you have an email newsletter you should never, ever go to a single event without your handy signup sheet. Yes, you can even use offline events to drive traffic to your web site. 17) And speaking of offline efforts: if you're ever quoted in a magazine or other publication, make sure and mention your URL as it's appropriate to the topic. Don't be too pushy about this but do not forget to tell folks you have a web site that may be a great resource for the topic of your interview. 18) If you have products to sell why not get a store on eBay? This site gets a tremendous amount of traffic and on your sales page you're allowed to list your URL. Another great way to get an inbound link and a way for people to find you. 19) Load a video on YouTube and 57 other video sites - if you don't have a video or don't know how to create one contact us and we'll refer you to our fabulous book video people! 20) While this isn't a tip per se it's still important. If you're going to go through all the trouble of getting traffic to your site, make sure your site is converting this traffic into something. Get folks to sign up for something, your newsletter, the RSS feed on your blog. Whatever it is, getting their email address will help you remarket to them when the time is right. Studies show that visitors landing on a site often don't buy the first time. That's ok! You want to get them into your marketing funnel so you can market to them again and again - not in a way that's obtrusive, offensive or downright annoying but in a way that is helping them with their own mission. An example of this might be an email newsletter. A helpful, informative newsletter is a fantastic funnel. A blog is another great way to keep people in your marketing loop without bombarding them with "please buy my stuff" email messages. Also, make sure you know what your traffic numbers are before you launch into any Internet marketing campaign. By traffic numbers I mean how many people are visiting your site. You want to know this so you can gauge a before and after view of your marketing efforts. At long last, I finally have my free proof copy of a novel from CreateSpace. Back in November, the people behind National Novel Writing Month (NaNoWriMo) worked with CreateSpace.com to provide NaNo winners with a free proof copy of their completed novels. I set a deadline of May 29 to complete my edits of the NaNo draft so that I could meet the June 1 expiration date of my CreateSpace code. It took some work to get this puppy uploaded onto this site, making me wish I hadn't waited until a few days before the expiration date. Fortunately, the good folks at CreateSpace worked with me to get this accomplished. First, you have to format the book in a PDF to the exact dimensions CreateSpace requires. Then, you can select a one of their two dozen or so covers to wrap your proof. Next, you have the option of uploading your own author photo and book jacket summary. After all of this is uploaded and approved by CreateSpace, Voila! You get a proof copy in the mail a short time later. They even assign an ISBN for your book. If, after you've proofed your copy and like it, you can make it available for sale on Amazon.com. Had I not received the free proof from NaNoWriMo, I could have paid about $11 to get my own proof. I think this is a valuable service that I would have paid for on my own. Why? When I was reading and editing the galley proof for my Janeology, I realized there's something about editing a book in this format that gives you a distance and more objectivity about the editing. It truly puts you in the reader's seat. Plus, I think this proof copy will be a valuable tool to give to some of my unsuspecting friends and relatives to solicit much needed feedback on the story. Today I was featured at 'Your Shelf Life', a great blog geared for writers and readers. The main question asked is what can you do to extend your 'shelf life' as an author and the 'shelf life' of your books. I talked to Sandy about how I use contests to keep things fresh, interesting, exciting and interactive. Blogging about passion and having a dream is one of my favorite subjects. Too often women in particular find themselves stuck outside their aspirations. When young the idea of pursuing something that made the heart sing and soul dance faded, overtaken by responsibility and day-to-day life. Time sends the message that age is not dream friendly. Take notes: None of this matters. As a woman who pursued her dream late in life and succeeded in its coming true, I say to all women that you must to be true to your self, to your passion. Women of Wisdom by Kris Steinnes is a great compilation of stories directed to spirituality and empowering of women. Angeles Arrien has a chapter about having to put your dreams on hold. Her words speak to all women. “I am at home when I have fire; when I am deeply connected to what has heart and meaning.” Purchase a copy of Women of Wisdom to use daily as inspiration and guidance. Women of Wisdom by Kris Steinnes, is being offered beginning June 23rd, 2009 at 12:01am. We invite you to go to this page – Women of Wisdom - to access the order page and then go back to this page to access the bonus page. On the Exclusive Private Invite page, enter your order confirmation code. That will allow you to gain entry to the bonus gifts that are available to people who buy the book on June 23rd. Have the best day everyday-stay true to your passion. Book burning’s been a controversial topic for decades and, sadly, the topic’s still alive in 2009. In Milwaukee, Wisconsin four adults are applying to the court to publicly burn or otherwise destroy a young adult novel called Baby Be-Bop by Francesca Lia Block. They’ve made this application because the library refused to take this novel off the shelves. The plaintiffs are claiming that the book is so "explicitly vulgar, racial, and anti-Christian" that it’s damaging their mental and emotional well-being, which is why they’re also claiming $120,000 in compensatory damages. I haven’t read the book so can’t comment on the content, but I do know that America and Canada take freedom of speech seriously. Regardless of a book’s contents or whether I liked a book, I do not believe in destroying books to prevent others from reading them. This is absolutely abhorrent. For whatever it's worth, I've read about a third of these books and loved them. Read a banned book today and help take a stand for freedom of speech. I have a newly designed website! Be sure to check it out and let me know what you think! Also, on the home page is a poll that will change every month or so-be sure to vote on the question of the month! Blooms Day, June 16 is a celebration of the Irish writer, James Joyce, "Ulysses". Named after, Leopold Bloom the protagonist this memorable day is filled with recitation and merriment. This past Tuesday, Blooms Day 2009, I read a short excerpt from Molly Bloom’s Soliloquy. I turned inward yes caught up in memories yes of Molly and Bloom yes their world their day yes and I was the Flower of the mountain for a few minutes yes and felt his breath on my neck yes and it was Leap Year yes my gawd Leap Year how did I miss that opportunity yes and what if I had known would I have asked him yes to say yes I will yes he might have taken me dancing yes twirled me round the floor yes and said I will yes he might have said yes. Have the best day every day. On Monday the 22nd of June, stop by to get information about Women of Wisdom by Kris Steinnes. This incredible book speaks to women and addresses the endless possibilities of spirituality and empowering of self. As the owner of an independent bookstore, I get approached at least twice a week by self-published authors asking me to sell their books. The world of self-published books has changed a great deal since we've been open. The quality is vastly improved -- even Kinko's can produce a handsome book. The challenge becomes how to distinguish your book from the multitude we see a year. I've amassed a list of what I'd like to see happen to make this growing area of bookselling as beneficial as possible for both parties. I've had some great success with self-published books. So if you're an author, don't despair, you can almost always get your book on the shelf. One thing I've changed is that now I'll take one copy of any self-published book on consignment. This involves no risk on my part and it allows your book to spend some time on the shelf. Just know that shelf space is at a premium. If after three months, the book hasn't sold, it may wind up in the back room until there's more room on the shelf. One cardinal rule: if you want me to carry your book and you live locally, you should make an effort to shop at my store. Do: Make your book look as professional as possible. Don't: Have a spiral wire binding (unless it's a church cookbook), laminated pages or folders. Do: Send an email with details about your book. I love emails; I can't misplace them and I can quickly refer to it when I need to. And they give me an easy way to contact you. Don't: Come to the store unannounced and expect me to drop what I'm doing to review your book. There's nothing that puts me off more than this. Respect my time and I'll be much more disposed to look favorably on your book. Do: Call to follow up on the email you sent. This reminds to review the email if I've missed it. Don't: Be hurt if I don't remember your book right away. We see lots of books. My lack of memory means nothing, other than I just don't remember. It's not a condemnation of your book. Do: Try to leave a reader's copy if you want me to carry a novel. I do try to read them and if I like the book, I'll happily take several copies. Don't: Get mad at me for asking for a copy to read. I know it's expensive to have extra books; if you can't have a copy for me to read, then maybe an excerpt would be good. I can't just have things on the shelf I know nothing about. So give me so info that can help me sell your book. Do: Try to price your book within the market ranges. I know picture books can be expensive to print, but a $25 paperback picture book will be hard to sell. Don't: Not listen to your local bookseller's advice. No one knows the market better than your local indie. Listen to their hesitations about carrying the book. See what you can do to modify the price. We had one self-published book that was really overpriced; we recommended a different printer and she got a much better price. As a consequence of the lower price we were really able to sell the book. I think by the time the print run ran out, we'd sold over 200. Do: Think regionally. You're much more likely to get your book placed if it's got something to do local region. We've had good results with a book about boxers in Vermont. Don't: Expect a Vermont bookstore to carry a book about California ponies. Do: Have an invoice for consignment available when you want me to carry your book. In a perfect world, I would have my own form, but sometimes we run out, and it's really helpful if you can keep track of the paperwork. Don't: Expect me to buy three copies of your book. It's not personal; it's business. Better to have the book on the shelf than not at all. We sold thirty copies of a Chapbook on consignment and it worked out well. Do: Tell your friends and the press (if you live locally) that your book is available at my store. Don't: Not tell me if you're going to be featured in the local paper. Nothing is more frustrating than getting caught by surprise by not having a book on hand that's been featured in the paper. On the whole, the future looks bright for self-published books. With the increase in quality, the stigma of self-publishing is going away. Remember to make your book look as professional as possible and be patient. We want you to succeed and nothing is more exciting than seeing a self-published book take off. My Blogtalk Interview. What Fun! The highlight of the night was when Deborah J. Ledford (author of Staccato soon to be published by Second Wind) and Suzanne Francis (author of the Song of the Arkafina series) called in at more or less the same time. I met Suzanne through my blog, and I met Deborah through an online contest, and I finally got to hear their voices! The best part of the whole thing, though, is that the interview is online, so if you missed it, you can still hear it. I hope you do. (Just ignore all the times I used the word actually. I actually didn’t realize how often I actually used the word actually.) You can find the interview here: Talk to Me . . . Conversations with Creative Unconventional People. During a panel discussion at last month’s crime writing day, an attendee asked if she should post her unpublished work on the Net. The question launched a lively debate. One panelist believed that writers should post anything they’ve written on their websites and other places. The goal, this panelist said, is to build a following prior to publication, to create book-buying fans and possibly attract publishers or agents. Although it's not a strategy for me right now, I know of writers who've posted enough chapters of a new work to indeed build a fan base. Nearly all of these authors self-published the finished product to sell, which is fine if this was their choice. From what I've seen, only rare exceptions land a contract with a major publisher after doing this and always because they've done the hard work first. If you read magazine or publishers’ guidelines regularly, you’ll notice that many of them consider even excerpts on the Net published work. If you have a market(s) in mind for your books, short stories, and articles, check the guidelines before posting your unpublished pieces. Keep in mind that I’m talking about venues open to the public. There are places with closed, private settings for specific groups. If you’re posting chapters to a closed forum for, say, critiquing purposes, then this doesn’t constitute published work. The attendee also addressed her concern about internet piracy. After all, songs are pirated frequently and she wanted to know if the same happened to books. As far as I can tell, no one really knows for certain. The general consensus, though, is that piracy isn’t happening anywhere nearly as much as it is to songs. However, a new study is underway by Magellan Media Consulting Partners to examine this issue, so we should have a clearer idea about the rate of pirated books in a year or so. So far, Magellan’s findings indicate a low rate of piracy, but the study’s just begun and only time will tell. Just a quick entry to remind you all of my book signing today! It's at Indigo South Edmonton Common from 1-4. Come say hi, maybe pick up a copy of Sacrifice and wish me luck on editing Survival! Working parents should pay attention, it is a difficult juggle between quantity and quality time with your children and the guilt, oh my, the guilt that builds up from leaving the kids at daycare. 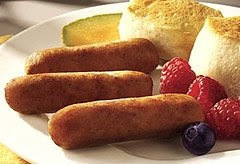 In Julianne Moore’s children’s book, “Freckleface Strawberry and the Dodgeball Bully” the idea of having to go to Early Bird BEFORE school starts doesn’t mean a long face or a stream of complaints it means not having to eat extra breakfast and getting to PLAY before school. Parenting has its measure of challenge and this book helps send a message to children that some things might surprise us. Talented artist, LeUyen Pham, beautifully illustrates the book; she has all the details on each page, giving children a picture perfect book. Ms. Moore and Ms. Pham work their magic together in giving young children a story that sends the message to not be afraid, one that says other children may be feeling the same as you, and the best resolution is to make a new friend. Click for more information on how to purchase Julianne Moore’s book “Freckleface Strawberry and the Dodgeball Bully” and to see her tour schedule. Ms. Moore is a tireless advocate for children and especially those whose families live in rural areas. She focuses on literacy and early childhood education and is U.S. Ambassador for Save the Children. She launched Save the Children Valentine and is a member of Reach Out and Read. Most of us know her as an acclaimed actress; this book secures her place as a picture book author as well. Thanks for stopping by and remember to have the best day everyday. 1. So, Michael, what’s 24 Bones about? Every five hundred years the Phoenix returns to its home for rebirth. And every five hundred years the battle between Seth, Osiris, Isis and Horus is fought. The five hundred years is up. Taggart Quinn is living in Toronto when he gets the call to return as a Companion of Horus. He refuses the call. Samiya Rush was abandoned to the Shemsu Seth as a child to be reared and trained for the coming confrontation in which she is to be Evil’s representative. She’s confused and alone. Two millennia before, the Companions and the Shemsu Seth stripped the Sisters of Isis of their powers – the Sisters want their powers back. Competing interests, conspiracy, betrayal, and greed lead to humanity hanging in the balance of a final battle fought on Earth’s primordial mound. 2. Do you have a favorite minor character? If I had to choose I’d pick Faris. Faris is a Watcher, one of those who wish to help the Companions of Horus, but didn’t pass the test to join. He’s pretty bitter about that, and this bitterness grows, ultimately making it difficult for him to love or be loved with disastrous consequences. 3. How would you describe your creative process while writing this book? Was it stream-of-consciousness writing, or did you first write an outline? My writing usually stems from research. 24 Bones for instance required me to have a fair understanding of Coptic Christianity and Egyptology. This necessitated that I read a lot of the translations of the original documents, such as the Papyrus of Ani and Pyramid Texts. This, combined with travel to Egypt to get a better sense of atmosphere, was the foundation for 24 Bones. I did the research first and followed the construct of the myths, weaving Coptic Christian beliefs and a healthy dose of Jungian thought into the Egyptian versions. I tend to outline one Act ahead. So by the time I’m done Act 1, I have Act 2 detailed. If my characters are surprising me, I can be fairly confident that I’ll surprise the reader too. 4. Where did your characters come from? Both Samiya and Taggart evolved, but when I think about it, they are in part who they are because of the situation of their back story. Both have had horrible childhoods, one in the service of evil and torn from her mother’s arms, the other disciplined mercilessly, branded by the Companions and then abused by the church. They change into the sort of people we either hope we never meet or the best of what humanity has to offer. 5. What's inside the mind of the supernatural thriller writer? At least in my case, it’s an exploration of myth. Myth can come in a lot of forms. I’ve written a book about the MS-13, a brutal gang, but one which has deep ritual and mythology. But religion, whatever your belief, contains an awful lot of humanity. And writing is a way to illuminate the human condition as shown through the arc of your characters. 6. What is the best writing advice you've ever received? Suspend the belief of your inner circle and follow your natural enthusiasm. 7. Do you have a website/blog where readers can learn more about you and your work? 8. Anything else you'd like to say about yourself or your work? My proceeds from 24 Bones will go to help the people of Zimbabwe. Michael F Stewart is an Ottawa, Canada based author whose latest work is 24 BONES, a supernatural thriller set in present day Cairo, Egypt. In addition, Michael has published THE CALIPHATE under the pseudonym Jack Stewart, and has four graphic novels, which will be published this summer by Oxford Canada Press, and a thriller titled HURAKAN due out with Overmountain Press this fall. So whatever your choice of reading device -- printed book, Kindle, Sony, computer -- I've got you covered. (Do ebooks have covers? Perhaps that wasn't as clever a word choice as I thought.) And, you can begin reading online immediately. Sometimes you are just along for the ride, and other times you are the ride. On Saturday, I chauffeured three members of my family, three women all over eighty-five to breakfast. It had been five years since they had seen each other, the three together. 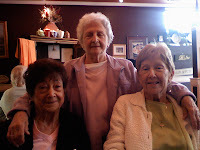 One is my mother, her sister who is ninety-four and the third their sister-in-law. The conversation began with a laundry list of ailments and present infirmities but quickly switched to nostalgia. They talked about when they were young and how each met their husbands and what it was like to be a young girl in the 20’s and 30’s of the twentieth century. As I sat among them I realized what a moment I was sharing, I knew that the possibility of another reunion might not occur in their lifetime. Another reason to be in the moment, to savor the minutes together and say I love you, I love your face and your laugh, I love how you eyes dance when you smile and how time has not changed your spirit. Blog what you feel, see, and hear. 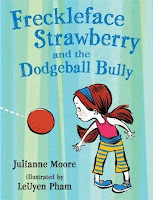 On Friday this week, June 12th, please stop for my review of Freckleface Strawberry and the Dodgeball Bully by Julianne Moore. I will have her tour site up and lots of info regarding this charming story. Ms. Moore is an award-winning actress, tireless children’s advocate and U.S. Ambassador for Save the Children. Her focus is literacy and early childhood education. Show Me The Money! What? When I tell people that I write and publish mystery novels, one of the first questions I’m asked is, “Wow, how much money do you make?” The question still catches me off guard now and then. After all, when I meet a doctor, artist, teacher, or chiropractor, I never ever ask them about their income. But it’s different with writers. People hear about Stephen King’s income or about the unknown writer whose first book landed her a six figure advance, and they want to know if that’s happened to me. What they really want to know, I think, is could it happen to them if they wrote a book? You see, there’s a weird idea out there that novelists make money. For reasons I don’t quite understand, too many people assume that because King makes a lot of money, I’m probably doing well too. I mean, I can practically see the gleam in the eyes of these curious people. I also see the disappointment in their faces when I tell them the truth. And the truth is that I’m an unknown Canadian fiction writer who would earn a better living working part-time at the McDonald’s drive-thru than I do with my novels and short stories. And this is true for most Canadian novelists I know. I tell people this because I don’t want wannabe writers obsessing over the idea that they can build a retirement nest egg by writing books on the side. The competition is so fierce that they might as well buy a lottery ticket. Although—and this startles me—I’ve heard reports that a small percentage of middle-aged or near retiring folks are pinning their hopes on lottery wins and big royalty checks from publishers to supplement their pensions. It’s so far off the reality mark that I’m afraid for them. But here’s the thing, last month Scribner paid $5 million for Audrey Niffenegger’s second novel Her Fearful Symmetry. And that’s what people notice. Your average aspiring writer doesn’t even know who Audrey Niffenegger is. I don't either. But I'm certain that some people view her as an unknown writer who got lucky. Do they stop to think that maybe she’s been working at her craft for forty years or that she’s exceptionally talented? Do they realize the odds of this happening to anyone else could be over a million to one? Some people are willing to take those odds and sacrifice regular paycheques to write in hopes of landing the big advance, and I really do wish them success. But I prefer the security of a regular cheque and the pleasure of writing for the joy of writing without worrying if I’ll have enough to live on when I’m eighty. I've entered a contest on Textnovel.com and I really need your votes. The grand prize is a guaranteed publishing contract with Dorchester. I'm submitting a novel I started years ago that I've always wanted to finish. The genre for the contest is ROMANCE. You'll be able to read as I write. I can't do this without you. To become a top finalist ALL I NEED ARE YOUR VOTES, and those of your friends (so please tell your friends and family.) If you'd like to subscribe to Lancelot's Lady, you'll receive my updates automatically, and please leave a short comment too. Go to my novel Lancelot's Lady (a contemporary romance about a palliative care nurse who ends up on a private island, much to the owner's dismay). Then sign up on Textnovel so you can vote (it takes a couple of minutes), and to vote, click on the circular "thumbs up" icon at top of story. Thank you all so much for helping me with this. I sincerely appreciate it. Your votes could make the difference between a major publishing contract or being in limbo. P.S. I designed the mock cover for inspiration only. This won't be the actual book cover. 1. The Hemingway biopic slated to star Anthony Hopkins as Papa is back on track! 2. 10 Points To Help You Decide If There's a Book In You is an interesting piece that includes traits such as determination, knowledge of the writing market and ability to handle rejection on its checklist. The author, Steve Dempster, does a good job of elaborating on why and how each of these qualities separate the wheat from the chaff when it comes to being someone who dreams about writing vs. a writer who commits a story to paper. 3. And under the heading "I totally should not tell you this" here's a link to a site called Book Sales, where I buy review copies of my book at 46-50% off! All. The. Time. There are tons of great books for sale here. And in case you were curious, most authors receive somewhere between 10 and author copies of their book. We can then buy them from the distributor at a 40% discount, but when you factor in the shipping costs, it's about the same price as purchasing them on-line. That's why I LOVE this site. BONUS LINK: If you're in the Dallas area, check out the event page for TWO OUT OF THREE AUTHORS, an entertaining night of stories and writing advice featuring memoirist Robert Rummel-Hudson and yours truly held at local eatery Gregory's Bistro. 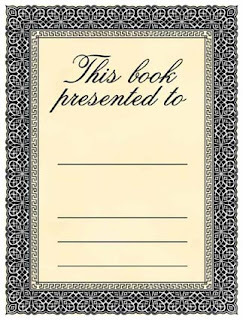 Bookplates: what are they and where can I find them? I am often asked about the handy and well-designed bookplates that I mail to people who have bought my books. I've used 2 designs over the years, both from a company called Antioch. However, you can't order directly from them; you have to find one of their customers, like a bookstore, or you can order online at WallDaddy. For those who aren't sure exactly what a bookplate is, it's a sticker (with peel-off backing) that you put on the inside of your book, usually on the inside cover. Some people use bookplates to catalogue their private library. I use them when people buy my books but don't buy directly from me at a book signing. So many readers love to get an author's signature. This is one way to do it. It costs very little to mail a bookplate. I even toss in a bookmark or two. What I love about the two designs below is that they leave me enough room to add the recipient's name, a special message and my signature. 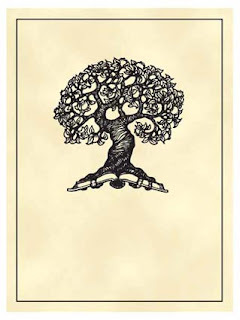 Or you can browse through the various bookplates at WallDaddy. Summer nights are beginning here on the east coast, the kind of nights when windows remain open and the evening chorus of insects drifts through the bedroom window. The frogs crock and the crickets chirp, tuning up for their lat June symphony. Airplanes crisscross the sky, a distant set of swooshes in the darkness, and sometimes a car makes its way along the road, a gentle thumb of tires against the pavement. Now and then, a dog barks and another answers, this collection of sounds are familiar, each has it measure of comfort. I favor this time of year, I am at my best, the arrival of my birth month of May is celebrated and when summer waves its last farewell, I hold tight and fast to her fading warmth. There is great solace in knowing that the music of nature will play again and that I am still a member of the audience. The return of this season has also brought a resurgence of inspiration; my mind has begun to blossom again. The story that bubbles inside has found it s path, at last, and the words flow again on to the page. Writing, indeed, is an act of faith. Everyday I hold tight to believing much the same way that I grasp summer nights. Blog what you see, hear, think and feel. On Friday, June 12 please look for my review of “Freckleface Strawberry and the Dodgeball Bully” written by actress, Julianne Moore and illustrated by LeUyen Pham. This is a children’s book with delightful illustrations and a story that children will enjoy, Ms. Moore has stepped out of her actor’s shoes and into a writer’s robe, not a simple task, but one she does with ease.